The Dolphins don't have a head coach, or much of a coaching staff, to send to the Senior Bowl practices this week. That doesn't not mean they're not represented at a high level. 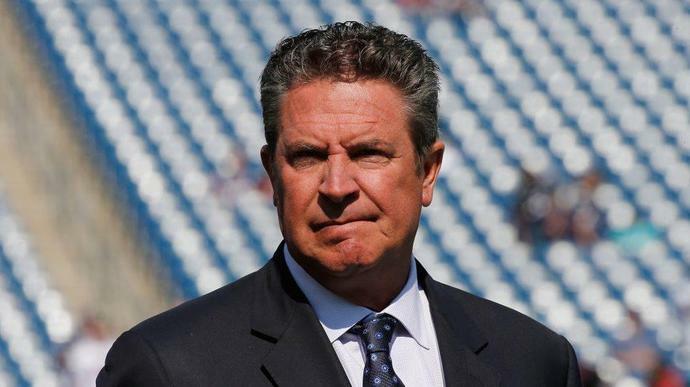 According to Adam Beasley of the Miami Herald, Hall of Fame quarterback Dan Marino was part of the team's contingent interviewing players including Missouri quarterback Drew Lock. "I was shaking everybody's hand, and then was like, 'Who's that? Oh my god, that's Dan Marino,'" Lock said. "When I'm sitting in the chair, he's back here [behind me] when I'm answering questions. You feel it. You really feel a presence in the room." Lock said Marino was part of a contingent of nearly a dozen Dolphins employees. They do still have a General Manager in Chris Grier and an existing scouting staff, but Marino's inclusion is worth noting. His exact title with the team is senior advisor to the vice chairman, president, and CEO. Which means, basically, that his job is to be Dan Marino. And he's filling that role in scenic Mobile, until they can get presumptive coach Brian Flores on the job in two weeks.